I'll be honest. I was a bit prejudiced against this book and did not have high expectations. I think it may have been the title? "The Queen of Hearts" sounded a little cliché, a little easy to me. But I couldn't resist the beautiful cover and gave it a go anyway. I was surprised at how slowly the story first developed. Having read my fair share of "easy" mystery novels, they tend to hook you from the get go, making it impossible to put the book down. Their downfall is the writing, which I usually find to be subpar. I was expecting that to be the case for The Queen of Hearts - but I was wrong. It wasn't until I was two thirds in that I felt the need to binge and stayed up way too late to finish the book. However, a slower beginning doesn't mean a boring beginning for Kimberly Martin's first novel. She writes well, and what she lacks in richness for more mundane things (settings, persons, landscapes, etc., while cleverly described, are not overly colorful), she makes up for in medical terms. 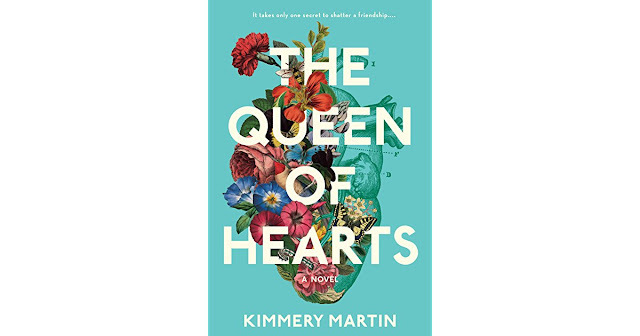 Far from being off-putting or boring, Kimmery Martin's medical background gives the book an authenticity that make it stand out. Some medical episodes felt a little unnecessary - but overall I really enjoyed the hospital setting. As for the storyline. I liked it. I liked the friendship, I liked the development and didn't guess the ending until it was about to unravel. Overall, I'd say if you're a Grey's Anatomy fan, The Queen of Hearts is for you (in a more grown-up, more authentic and less ridiculous way). Or if you're just looking for a different kind of mystery novel that's easy to read, but not too easy. * This book was sent to me for review purposes. Thoughts and opinions are my own.